You can find the first part of this interview here, and the second part here. Raffaele Morgantini: If, as you said in the previous interview (Israeli politics & society), support from the European Union (EU) and the USA is not going to stop, what could the international community do or what should change in order to force Israel to implement and respect international standards? 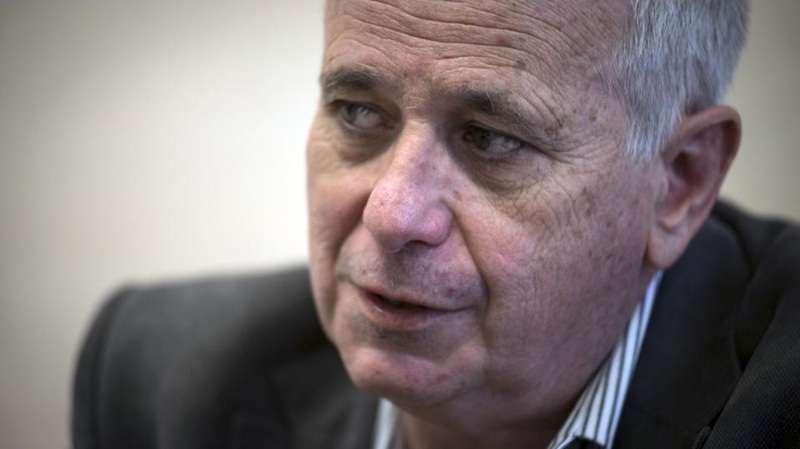 Ilan Pappé: We need a European spring. In the sense that we all know that if the European political leaders would only reflect what the European people want, the policy of European countries would be much tougher on Israel. Today, governments do not reflect what the people want or think. So the question is how do we transfer the pro-Palestinian sentiments of the people of Europe to the governments of Europe. By the way, this situation is the same in the USA. I don’t think that Americans are more pro-Palestinian than Europeans, but they are starting to have enough of Israel and they would like the USA to concentrate on their own growing internal issues. But again, political leaders do not represent this wish. We had the same problem in South Africa; it took 21 years for the first European civil act against South African apartheid, which came in the form of economic sanctions. So it’s a very long process. What the international community must do is find ways of convincing their political leaders that it is both ethically and politically better to adopt a much tougher policy against the illegal Israeli occupation. The EU is a good example here because they have strong connections and relations with Israel, they essentially treat them like a member of the EU. When the boycott campaign started, it was the EU who first tried to get Israel to act in a different manner. That was just a small beginning, there is still a lot to be done, but for me, this is the right direction: a process from below towards the political elites. RM: There are many European politicians that would like Israel to be a member of the EU. Do you think this is possible, and if so, what will that lead to? IP: Maybe it’s a good idea because then Israel would need to change its entire governmental policy, which is currently violating many EU laws. On the other hand, that could be a problem because it may just lead the different governments of the EU to accept Israel’s cruelty and violations. I still think that the best strategy is to explain to these pro-Israel politicians that history will judge them really badly because of their positions. The problem is that politicians don’t have the tendency to look beyond tomorrow. The only way is to explain to them that when this situation changes (in our case, when the occupation ends and when Palestine will be free), they will be on the wrong side in the history books, because they were the politicians that were supporting a state of apartheid. It is similar for those politicians who were supporting Benito Mussolini. If politicians feel comfortable with being on the wrong side, that’s ok. But if they want to be portrayed in the history books as people who were working for peace and justice, they need to change their positions and friendships before it is too late. Israel has been kept alive because it serves a lot of strategic and military functions for the West, not because of its morality. Reality isn’t how the Christian Zionists see the world; thinking that Israel should be supported because it represents some kind of moral value. This kind of support has been overcome today, and this is also thanks to the work of the BDS campaign, it is one of the few victories we had. RM: In which way is international solidarity useful? 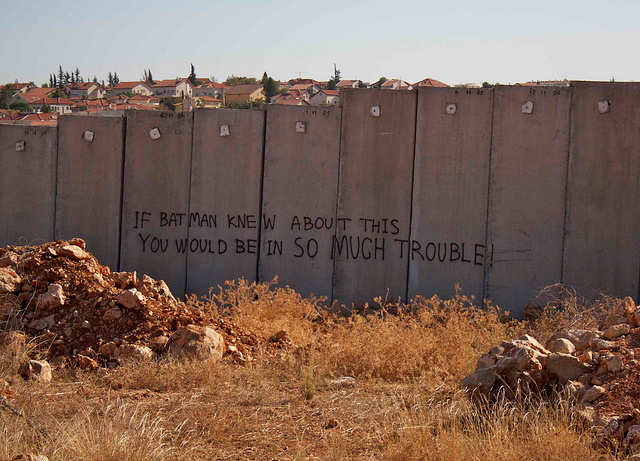 What is or what should be the role of international activists in Palestine? IP: I think that international aid, which is a bit different from solidarity movements, is often problematic. On one hand, it allows the Palestinians some level of existence, but on the other it kind of pays for the occupation and for Israel’s mistakes and violations. There are other organizations, like the International Solidarity Movement, which instead is different: it is not about money but about people coming to help other people. As long as this injustice is happening, I think it is really important that these kind of movements keep coming. All international activists that come to Palestine should be VIP’s. I mean they should Visit, they should Inform and they should Protest. Serious international organizations should be doing all these three together, but maybe sometimes one less than another, because of particular circumstances or because of the lack of resources, and this is a pity. I think it’s essential to do them all together. 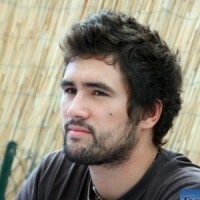 I think that international activists’ main role is to be the activists of the outside world. I once visited the Basque country, and I noticed that there was a distance between the solidarity movement and the boycott movement there, which is a shame because they should definitely work together. What ISM sees in Palestine is the result of the BDS movement’s work outside Palestine, and it works. It is not only about solidarity on the ground, which is very important, but also solidarity from outside. You cannot replace the liberation movement – the Palestinians have to liberate themselves, nobody can help them with that, not even I, but we can and we must show solidarity with their liberation. This solidarity can be shown on the ground, but mostly by acting in the country that activists come from. It is about finding the right balance. I remember one of the first solidarity groups that came to Jenin, after the terrible massacre of 2002. The fact that somebody came, was interested and sympathetic and supportive, meant a lot to the people. We can see how much effort the Israelis are putting into preventing you from coming here, and I think that’s a good indication – proof that you are doing something right. I would be worried if tomorrow Israel said all international activists are welcome – that would mean you’re not doing something right. RM: What about the BDS campaign, do you think that an academic and cultural boycott could be an effective instrument against the Israeli occupation? 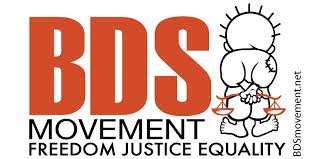 IP: I was always a great supporter of the BDS movement. As it did in South Africa, it will also play an important role in changing the reality on the ground here. But it is a long process and we need to be patient. In the case of Israel, the academic and cultural boycott is particularly important, because Israel sees itself as a European and democratic country in the middle of the Arab world. ‘European’ not because of the economic relations it has with Europe, or because it sells tomatoes in Holland – among others it also has strong economic relations with China, Russia and Africa – but because it is part of the European cultural and academic elite. If European academic and cultural institutions say that they do not want to work with Israeli institutions because of Israel’s behaviour, I think it would send a very strong message. The cultural and academic boycott (unlike the economic one, which only affects the occupied territories) makes a huge and direct impact on Israeli society, and it is only when that happens that Israelis will talk about what is happening in Palestine. For example, the only time that the Israeli press – and sometimes international media as well – talks about the occupation is when someone like Stephen Hawking says he is going to boycott an event organized by Israeli personalities. Before the spread of the boycott movement, it was only when there were bomb attacks in Israel that Israelis remembered that there is an occupation. Now this issue is brought up more regularly, when a famous pop group or author refuses to come, or when an important university in the USA says that they do not want to work with Israeli universities. This type of boycott is really important, and it is the main thing that the international community can do. International solidarity movements sometimes think that they should have an opinion regarding, for example, the one-state or two-state solutions, but this is actually not their business. It is up to the Palestinians and Israelis to decide how they are going to live. What international movements can do is to create the conditions for a reasonable dialogue. But we need to end the occupation before starting to speak about peace. The Israeli trick has for many years been to try to convince the world that peace will end the occupation. But we know that actually this goes the other way around: we end the occupation and then we will start to talk about peace. I think that the BDS movement and the Palestinian solidarity movements are all grassroots organizations that do not accept the Israeli diktat “Peace will end the occupation”. These organizations are not part of the peace talks but instead they work on ending the occupation and the apartheid. RM: What would you say to people that believe that cultural and sport events should not be politicized? IP: Well, it was very effective in the case of South Africa. In fact white South Africans only began to think about apartheid when the big sports teams of South Africa were not invited to international sporting events. Moreover, I think that sport is political. For example, Israel is going to host the UEFA Under-21 football tournament, and the Palestinian football team has not been invited. Palestinian players from Gaza will not even be able to go to Israel and see the tournament. Sport is political if it is not free for everyone to participate. Academia as well is clearly political. Israeli academics, when they are abroad, think they are Israel’s ambassadors. Synagogues abroad see themselves as Israel’s embassies. When Israeli academics see themselves as ambassadors, and represent something that most decent people abroad will see as unacceptable, then people have the right to show their rejection. And nobody tells these people that they represent Israel, they say it themselves. There was a big debate in the Basque country about the Israeli singer Noah – whether people should boycott her concert or not. People went to her website and saw she had written that she represents Israel on her tour. So she wasn’t coming just as a singer, but as a representative of Israel. We are in 2013 and if you say that, it means you represent what Israel represents, and what Israel is doing today. Therefore you are a legitimate target of the boycott.